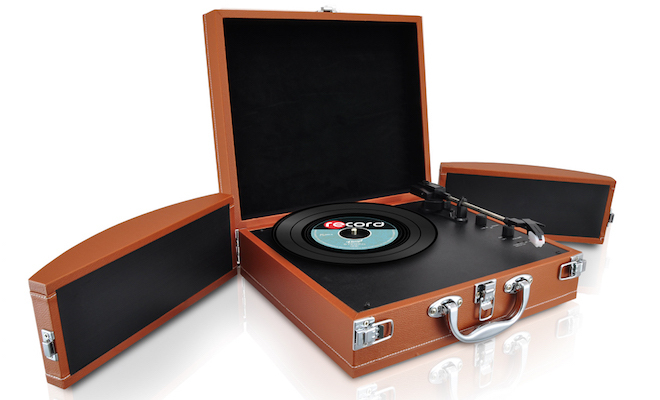 Pyle Audio today released a $110 retro phonograph system to play old records that folds up into a briefcase. 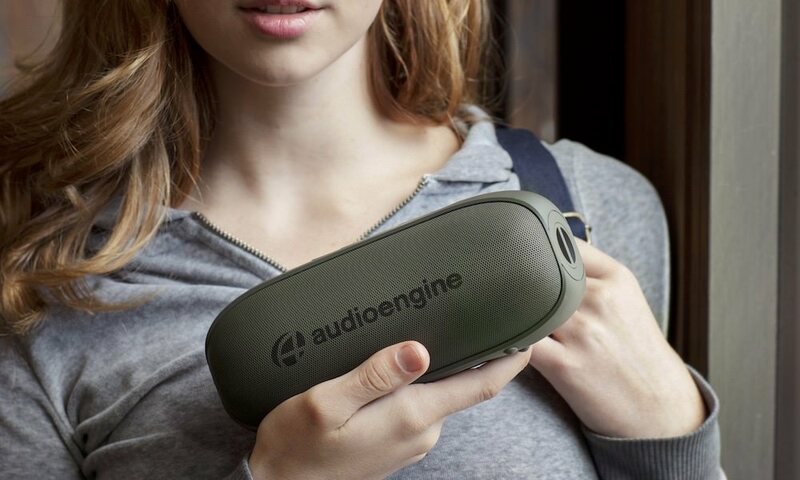 The portable unit also doubles as Bluetooth speaker to stream music from your smartphone, but that kinda defeats the purpose. The 2-speed turntable, model PVTTBT8, plays both 33 and 45 RPM records and offers a comprehensive entertainment solution with fold out speakers. Charge the turntable by connecting to your computer via the USB cable or by plugging into a wall outlet using the included AC-USB adapter. Not only can you play your favorite vinyl records, but you can also connect to your PC directly via USB port, allowing for easy conversion of classic vinyl’s to MP3s. The PVTTBT8 comes with everything you need to get connected and edit your music collection, all starting with a simple plug in. Take advantage of all the PVTTBT8’s features by editing actual music files and creating playlists for any occasion with the included software. Combine the best of digital and analog technologies when you turn your bulky stack of vinyl records into a compact digital music library. The company says this unique turntable will fill any room with incredible audio and can even provide your home theater system with a richer sound by connecting to the RCA line. This modern musical powerhouse arranged into an elegant vintage package will take care of all your music needs at home or on the go. Pyle Audio PVTTBT8 Turntable Briefcase is available for $109.99 at Amazon.com in brown, orange or black.